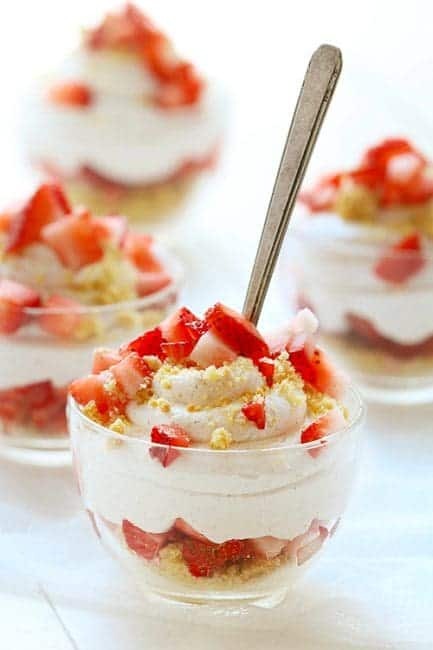 Simple Strawberry Shortcake Mousse Cups are the perfect way to taste the flavors of summer! Fast, easy, rich and refreshing… everything you want in a dessert! This recipe was one that fooled me. It seems too easy, too simple in its ingredients to be anything that would “wow” you. I didn’t have high expectations, I simply thought it would be ok.
Well. This dessert impressed me a whole heck of a lot. The only problem I have with this recipe is that it only makes four. So next time, I will double it! Or triple, you know, because yum. Beat cream cheese, cinnamon and 1/4 cup of the sugar in stand mixer on medium speed until smooth and creamy. Add coconut milk beat until well blended. Pour (or scoop) ingredients into a large clean bowl and then clean out mixer bowl. Pour cream into stand mixer bowl and beat cream and remaining 1/4 cup sugar on medium speed until stiff peaks form. Add 1/2 of the whipped cream to cream cheese mixture stir until well blended. Gently fold in remaining whipped cream. Spoon 2 teaspoons of the crushed cookies into a small tea cup or large shot glass. Divide strawberry slices evenly among glasses. Scoop mousse into a pastry bag and then pipe out into cups. 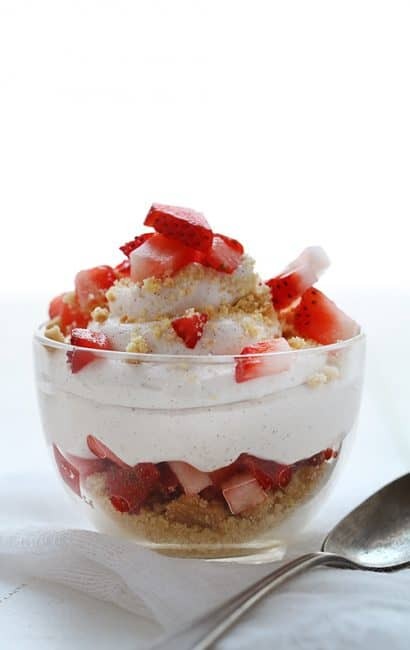 Garnish with more strawberry pieces and shortbread cookie crumbs. I have adapted this recipe from McCormick with permission. Now, because I NEVER seem to be able to remember to take my cream cheese out of the refrigerator so that it can properly warm to room temperature, here are a couple tips that I have used to “cheat”! Wrap the cream cheese in plastic wrap, then submerge it in a bowl of hot tap water for 5-10 min. Microwave for 15-20 seconds. I like to use a fork and mash the cream cheese a bit before I put it in the microwave. I also stir it completely when it’s done to make sure that it is even. I can’t verify is this is true, but I heard hat Julia Childs always whacked butter with a rolling pin to quickly bring it to room temperature. 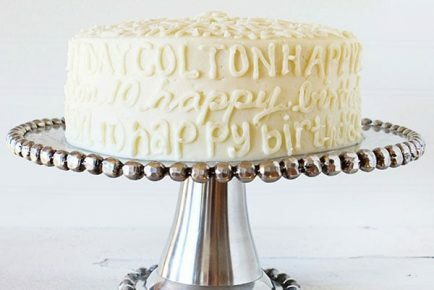 If you don’t mind a little mess, this might work for cream cheese as well! As you can tell by the numerous amount of pictures, I was totally smitten with these delightful desserts. I just know you will be too! I think you could also easily substitute Cool Whip for the from-scratch whipped cream in the recipe if you happened to be in a hurry. these look so delicious! 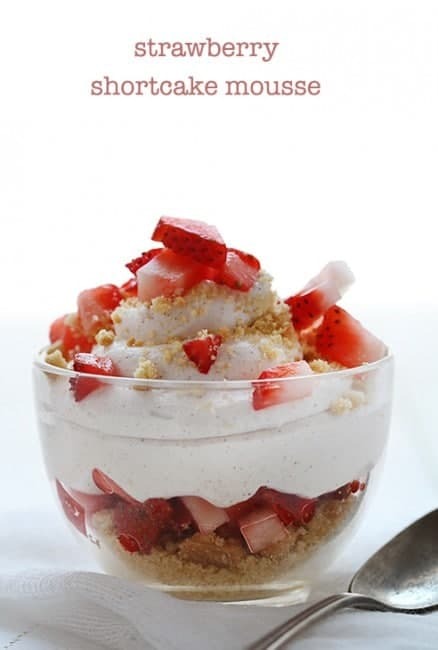 I’m such a fan of no bake desserts like this, especially with fresh strawberries! yum! Yes, you are right! I was amazed how quickly they were devoured! I love this! 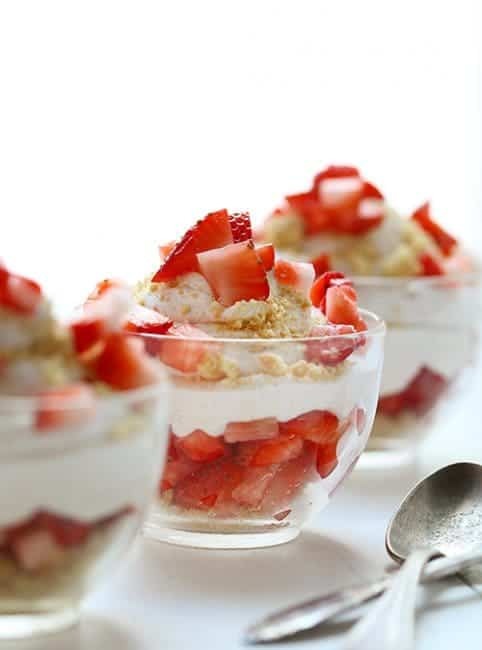 They look fantastic – perfect dessert to prepare early and whip out of the fridge to serve dinner guests. Beautiful! My apologies! Apparently I paid better attention in Home Ec than in English class. You’re kidding me, that is the first time I buy coconut milk and I have all the ingredients, gotta try it. Thanks for the divine dessert. Oh yay!!! Hope you love it as much as we did! WOW! 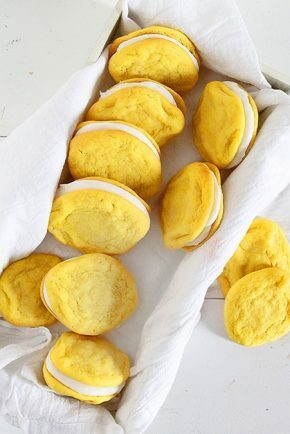 These look so simple and delicious, love the idea…MUST MAKE asap! Think I can make this without a mixer?? Broke college student problem! 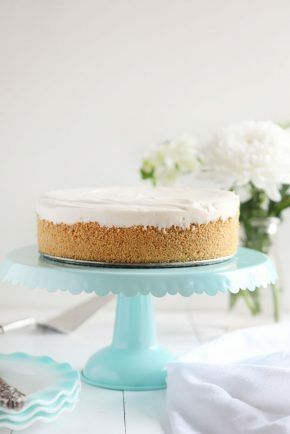 I’ve been looking for a recipe like this to make for my wedding dessert, but my fear is that the whipped cream/mousse will “deflate”.. is this recipe good for making ahead of time & serving later? Looks too good not not to try! Ya, I would totally triple this recipe! I’d have to double this recipe for sure. 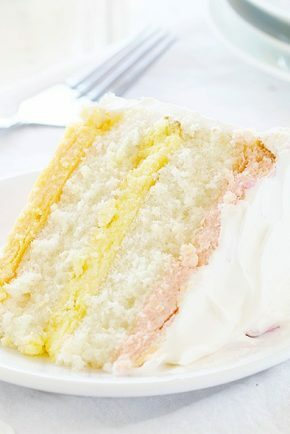 It looks scrumptious! These are so so pretty! 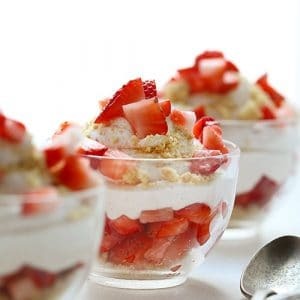 I love strawberry shortcake in any form so I would definitely double the recipe! 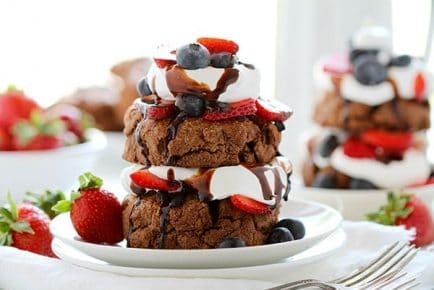 This dessert looks so delicious. I really need to make it soon !! 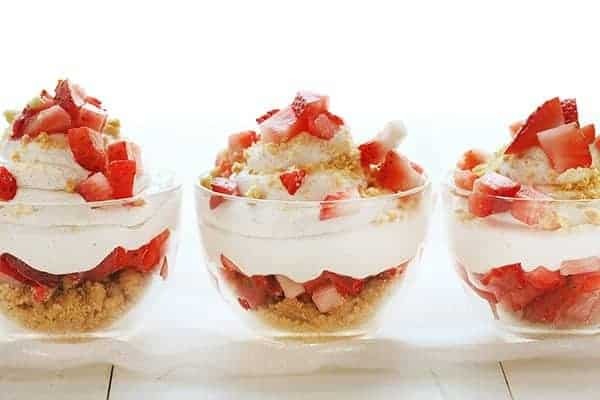 Oh how sweet and divine….even though summer is coming to a close I will hold onto the dear memories of strawberries all winter long! Adorable! I want to try these with a bunch of other cookies too, love the mousse. Love how easy these mousse cups are to whip up! They look beautiful and I love the coconut milk! I’m making this for my family tonight. I followed the recipe exactly and my mousse is 100% liquid! What do I do?? OH NO!!! I am so sorry! Sounds like the heavy cream never became stable? Everything you take out of the mixer should be solid. 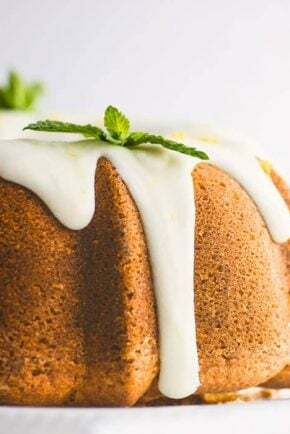 You can always try adding confectioners sugar to thicken or to refrigerate.